Marla Florio - Fabric Doll at Mann Gallery! 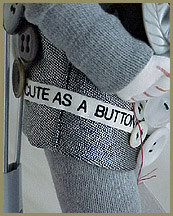 Cute as a Button - Vintage Buttons! Please Click on a thumbnail to see the full size version.